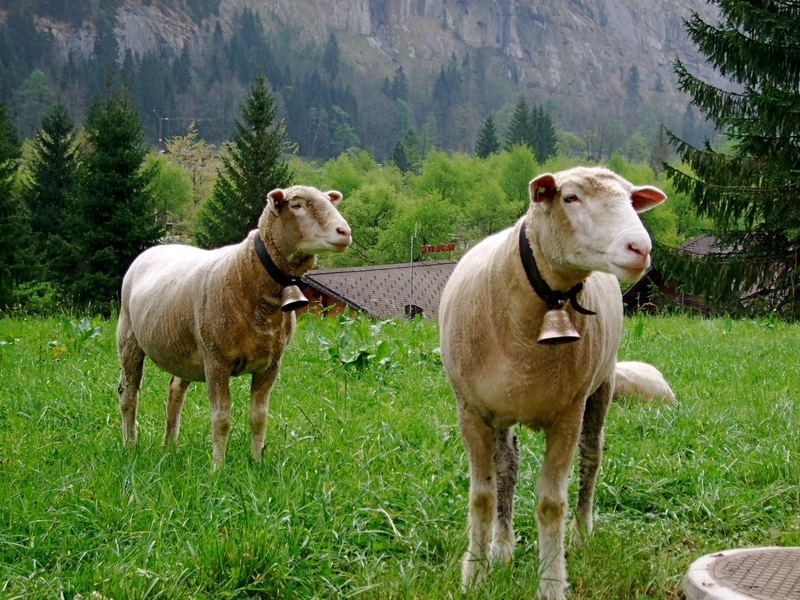 I was planning on writing more about Lauterbrunnen but after looking at most of my photos from there I realized I had a bit of an obsession with the local farm animals. 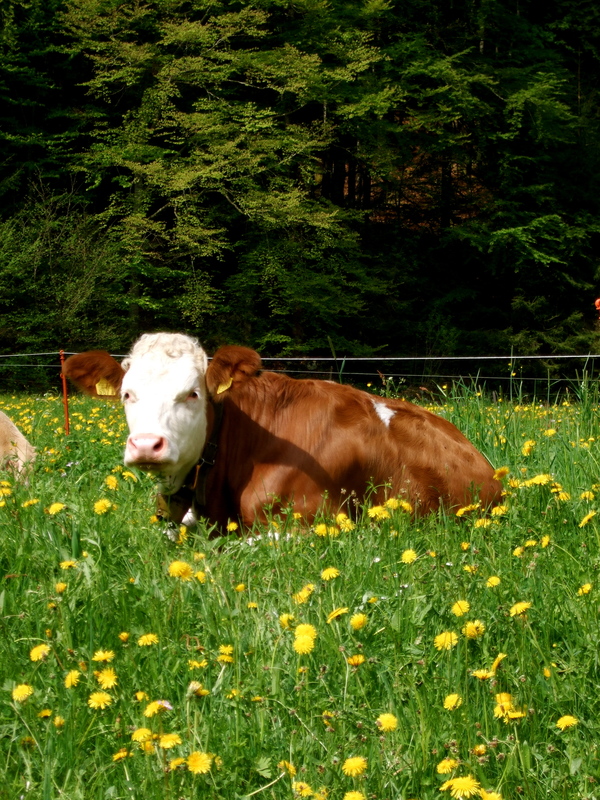 In my defense the animals there wear freakin’ bells! So cute. 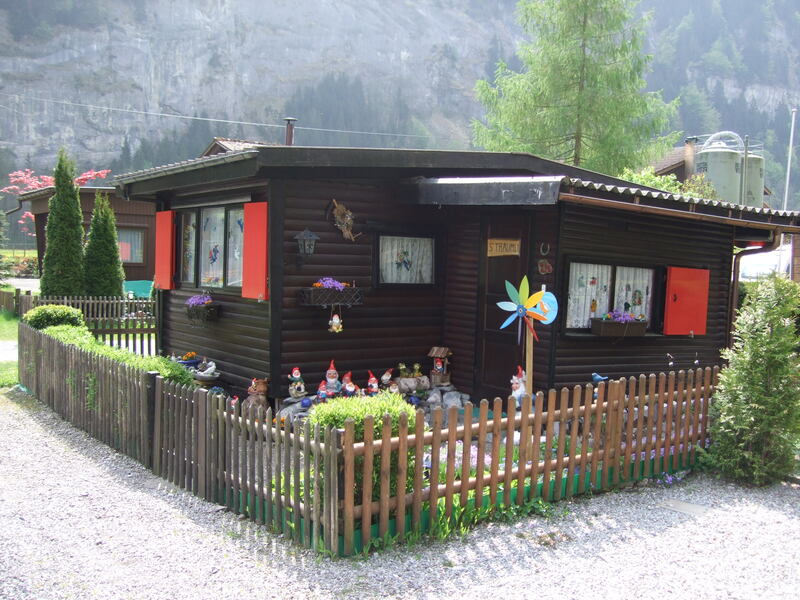 But what I can say about Lauterbrunnen is that it serves as a great base. From there you can visit a handful of mountain towns. You can stay in one of the mountain towns but they don’t have as many, if any, markets and cafes. Just something to keep in mind if you plan to visit. 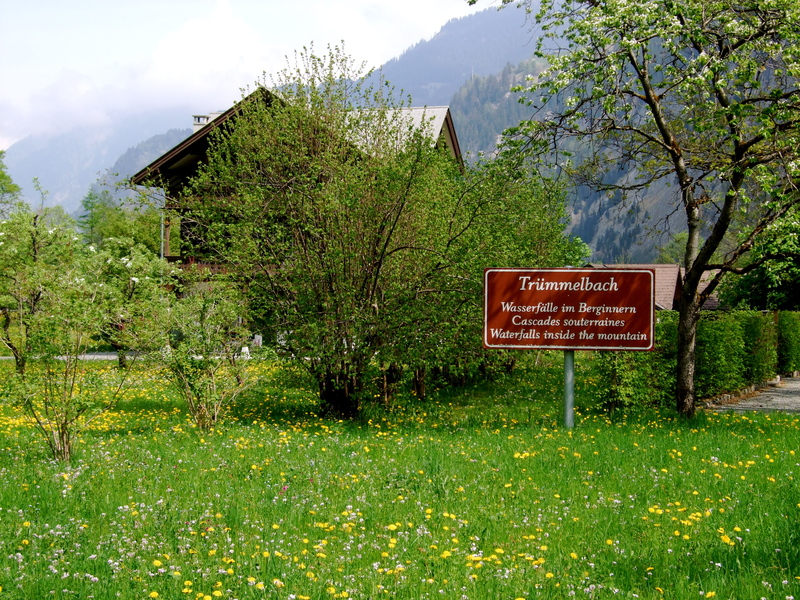 On the second day we headed to Trummelbach falls. 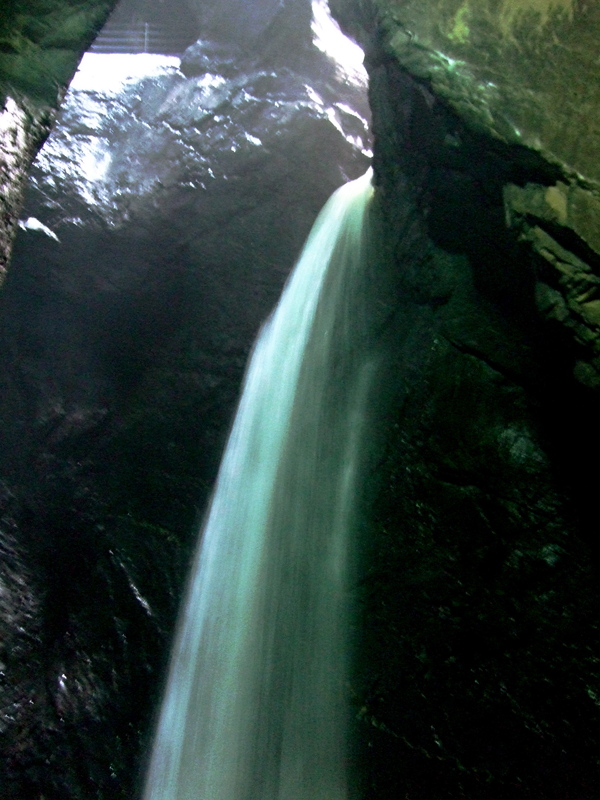 The falls are caused by melting glaciers and are inside a mountain. Ah-mazing. It was one of the most memorable sights during my first visit so I suggested we go. 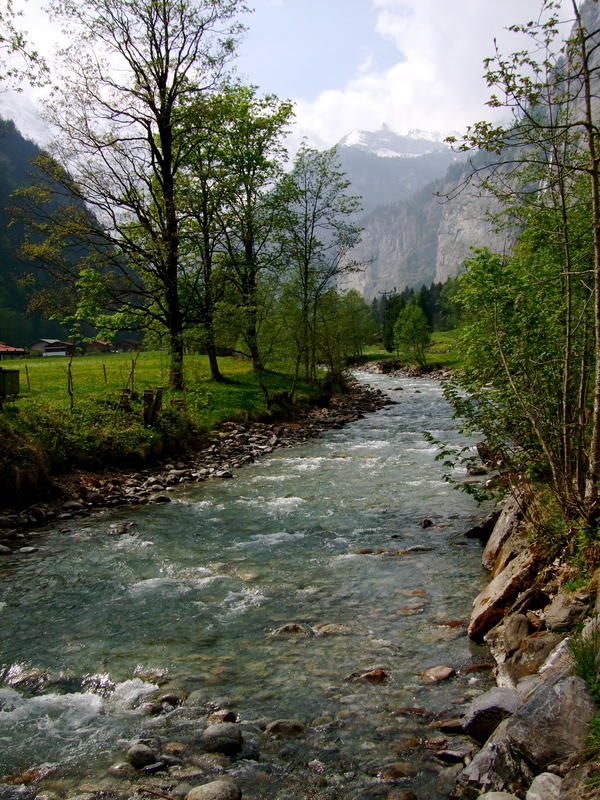 The 5K walk from Lauterbrunnen took us through some scenic places. What should have taken us about 40 minutes to walk too us over an hour because we kept stopping to look and awe over things we saw. But finally we made it to Trummelbach Falls. If you visit here you have to know that the saftey barriers are a bit low and if you’re nervous around edges you might want to pass on going. Or soldier on like me! I can’t tell you when I turned into a chicken afraid of closed spaces and standing near cliffs, but I am. A big chicken. I had to look away when Greg got close to the low fences to take photos. Oy. Because it was so dark inside it was hard for me to get a good photo. This was the only one that kind of came out. After getting back we celebrating our long walk with what else? 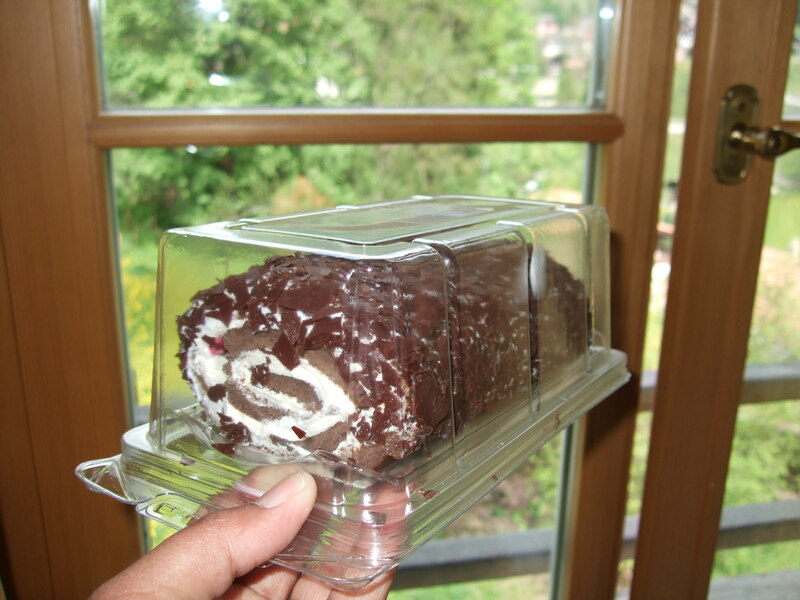 A giant Swiss roll, cause, that’s how we roll*. *Too much? Will try and lay off the corny pills. 18 May	This entry was published on 18/05/2011 at 12:00 PM. 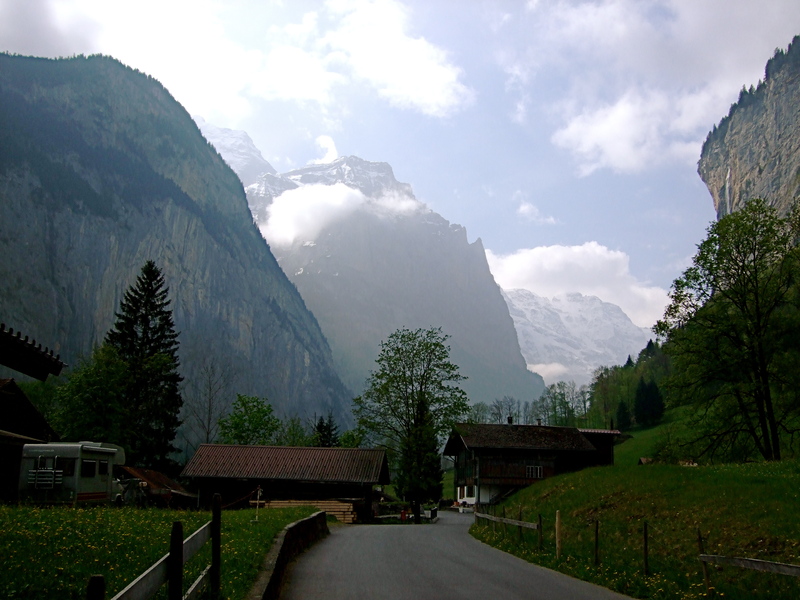 It’s filed under travel, Vacation/Holiday and tagged Gimmelwald, Lauterbrunnen, photos, Swiss mountains, Switzerland, The Alps, travel, vacation. Bookmark the permalink. Follow any comments here with the RSS feed for this post. Wow. That photo of the creek is exquisite! You’ve really put Switzerland on the map for me and I guess I’ll have to visit now!!! What an amazing trip!! I’m loving reading about it!